Mike and his grandson Gabe stop by for a chat on the #Shantyboat. Mike’s wife Chris is responsible for the care package. ← Care package madness when I returned to the #Shantyboat this afternoon. Thanks to the good folks of Muscatine Iowa. 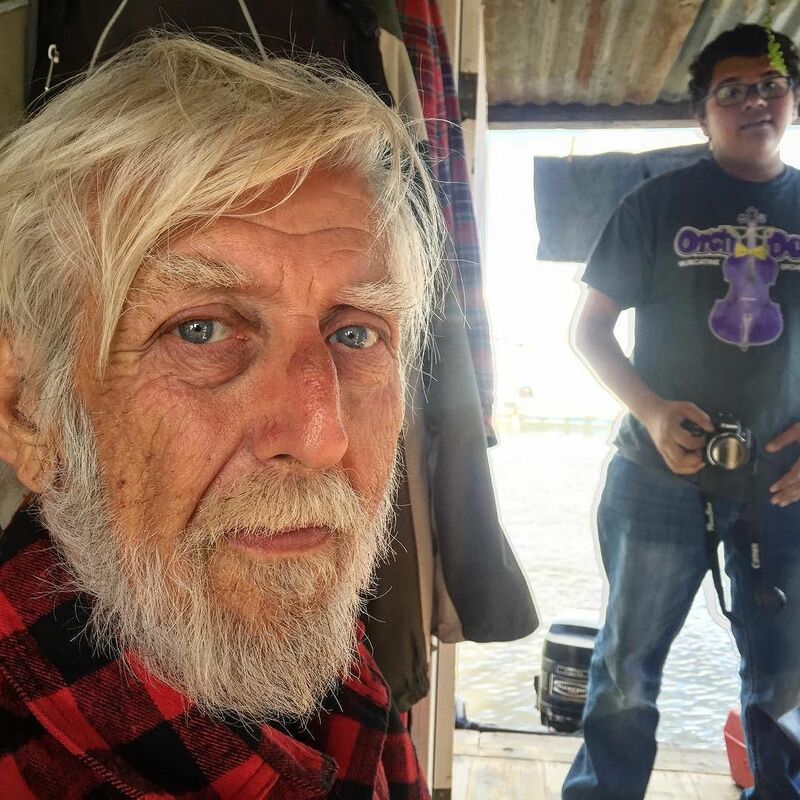 #carepackage #anongifts #beautifulstrangers ← Cruz throws a castnet (“atarraya” in Spanish) for shad to use as bait on the docks near the #Shantyboat.